The special edition Peerless RDA is an enhanced version of the original Peerless, which GeekVape released just a few months ago. 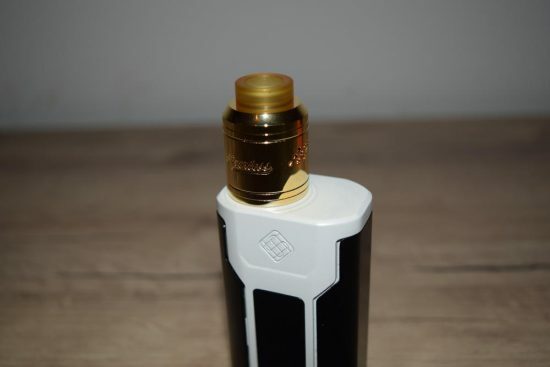 The aluminum body has now been replaced with one made of stainless steel, the acrylic top cap has been swapped out for a metal one with a Goon-style drip tip and the paint job has been improved as well. 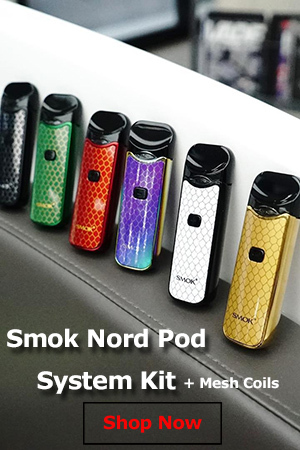 At the same time, Geekvape kept all the features that made the Peerless special, including the 9mm-deep juice wells, and the split-post versatile build deck. 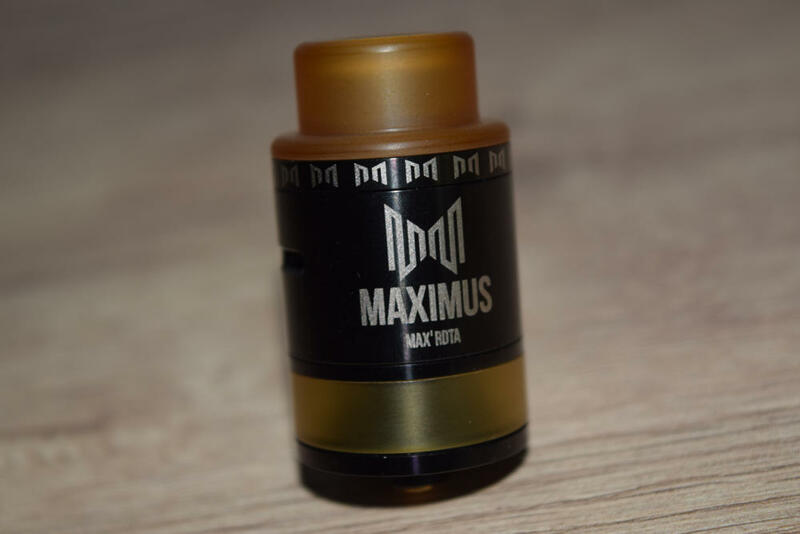 The price has been bumped up just a little to reflect the quality of the materials, but this is still one of the most affordable quality RDAs on the market. The Peerless RDA comes in the classic GeekVape packaging, a transparent plastic case that offers a clear view of the device inside. Next to the RDA is a concealed section that houses the accessories included by the Chinese manufacturer. Just lift the cardboard cover and you’ll discover a second Goon-style drip tip, a small screwdriver, and a bag of spare parts, including o-rings, post screws and a hollow pin for squonking devices. At the bottom of the case, under the Styrofoam holders, you’ll find a detailed user manual, which was a pleasant surprise for me, because many other GeekVape I’ve used in the past didn’t come with one. 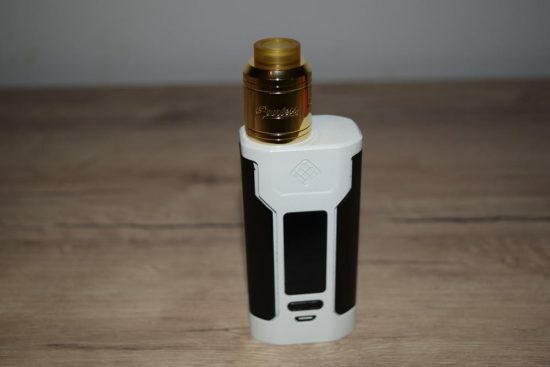 All in all, this a nice RDA kit, although it wouldn’t have killed them to throw in a couple of pre-built coils as well. I know they make and sell pre-made coils themselves, so it wouldn’t have been any trouble sourcing them. On the outside, the GeekVape Peerless Special Edition RDA has a classic design. The only elements worth mentioning are the Ultem drip tip that goes well with the golden RDA I received for this review, the 18 small airflow holes – 9 on each side – and the “Peerless” logo laser etched into the barrel. The machining is flawless, as is the paint job, and the threading on the connection pin at the bottom is buttery smooth. While it is definitely a gorgeous device, the Peerless doesn’t really stand out from the plethora of other RDAs in terms of looks. 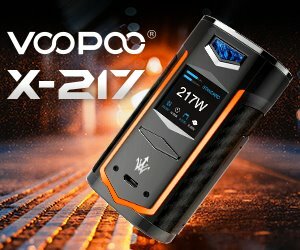 The inside design is a whole different issue, as GeekVape showcases some really innovative ideas that actually work. 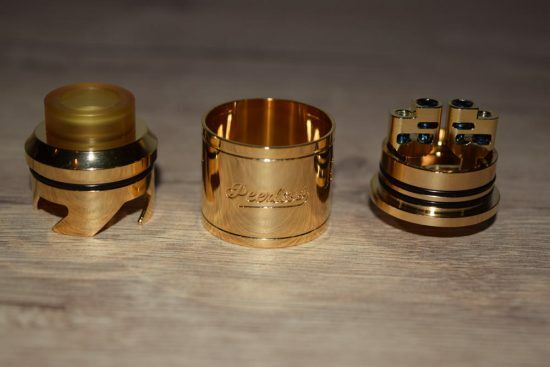 The first thing you notice when you remove the top cap and barrel of the Peerless RDA is the design of the build deck. The two beefy posts are split all the way down to the bottom of the juice well, and there’s also a small canal connecting the two sides of the well. More on that later, for now, let’s focus on the posts. As I mentioned, they are massive, especially for a 24 mm RDA, but there’s a reason for this. They each have two different size holes, a smaller one near the top, and a large one further down, which has two screws going through it. 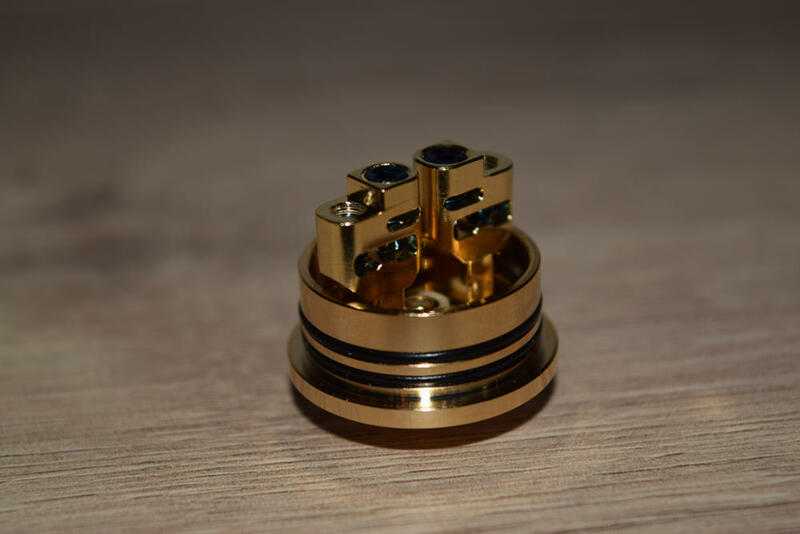 The smaller post holes are meant to accommodate your simple, small to mid gauge wire builds, while the larger ones can easily fit any type of exotic builds, from large Claptons to Alien style coils. This type of system insures that whatever type of wire you’re using will fit just right, which is something I haven’t seen on any other RDA. I’m not saying that there aren’t others like this out there, I just haven’t seen any. While offering different size post holes is an interesting idea, I did struggle a little bit while using the two smaller holes, mainly because of the screws, which go through both the smaller and larger holes, from the top. These screws are larger at the top, so they take up almost all the space in the small holes, with the wires being pushed to the sides when you screw them down. It’s easier when you’re using a single coil, but I for one had a bit of trouble keeping both coils in position as I was fastening the screws. It’s not impossible, but it’s definitely harder to do than on a Velocity-style deck. Installing exotic coils in the larger holes is much easier to do, in my opinion, thanks to the extra space and the fact that the coils clamp the wires down at the bottom. 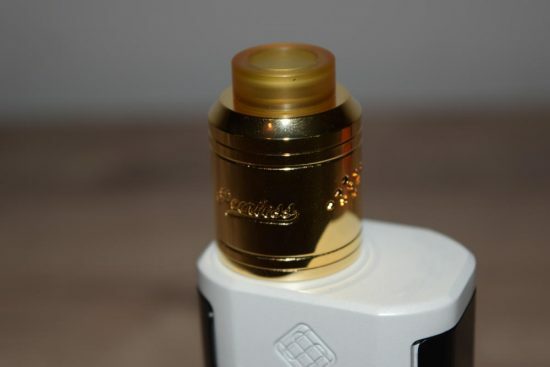 Another interesting design feature of the GeekVape Peerless RDA is the channel connecting the two sides of the juice well, so you can simply pour your juice on the posts, without even removing the top cap, and it will eventually flow evenly into both sides. With the two posts beings separated completely all the way to the bottom, juice flows freely between the sides of the well, even if the small channel is blocked by cotton. Finally, the juice well itself is very impressive in how deep it is. With the exception of the GeekVape Medusa Reborn, which I recently got the chance to review, this RDA has the deepest well I have ever seen. 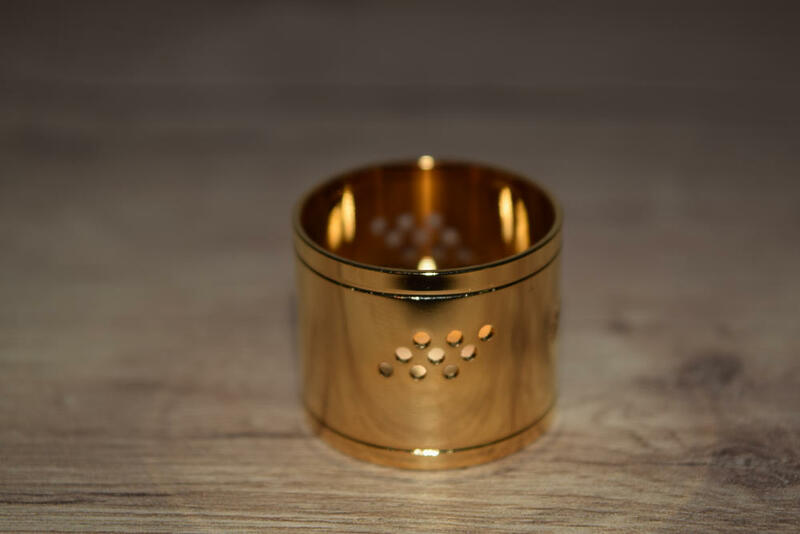 It’s 9 mm deep, which means it can hold loads of e-liquid, allowing you to vape for long periods of time without having to drip every couple of hits. It also holds plenty of cotton, without you having to cram it in there by force. The top cap acts as an airflow control, so you can cover some of the holes to restrict the airflow, or just block one of them completely for single coil vaping. The restriction while turning the top cap is just right, meaning you won’t have to struggle to rotate it, and it won’t turn by itself, either. 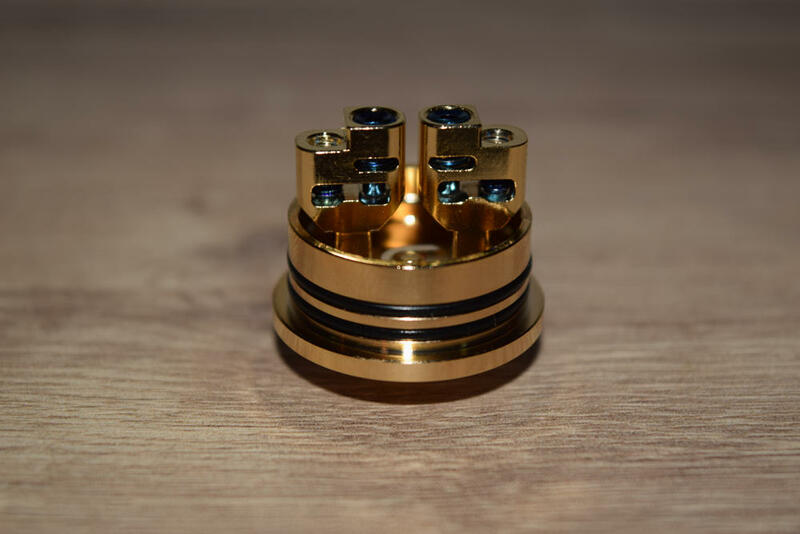 Finally, the double o-rings on the base of the atomizer provide great insulation from accidental leaks, and also keep the stainless steel barrel firmly in place while vaping, while also making it pretty easy to pull off when you need to. Ever since the Avocado 24 and Griffin 25 RDTA, I’ve been a big fan of GeekVape atomizer, and I can honestly say that the Peerless Special Edition was another pleasant surprise. 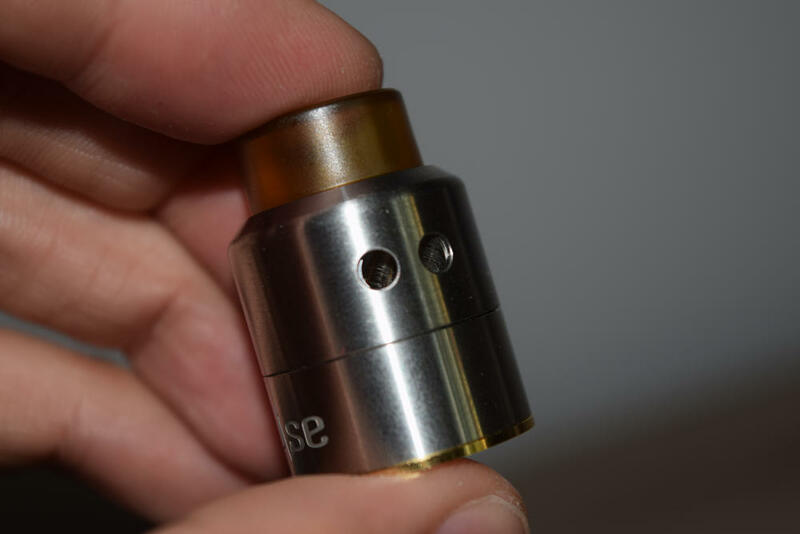 There is a new RDA launched virtually every day, but few of them manage to introduce intriguing features that actually improve performance. With this device, GeekVape did just that, offering an RDA that not only fits any type of wire, but also makes it easier to drip, thanks to the design of the posts, and keep you vaping for longer, thanks to the deep juice well. Vapor production depends on the coil builds and the power output of your vaporizer, but even a common dual-Clapton build with a resistance of 0.4Ω, at about 65W produces impressive clouds. I’m certain you can get much more vapor out of it with lower resistance builds and higher wattage, but that’s just not my thing. I’ve also used it in single coil mode, but I recommend going for a large fancy coil, like an Alien, for maximum vapor production. While flavor production is definitely important, for me RDAs are all about the flavor. I have great tanks like the SMOK TFV12 that produce insane amounts of vapor, but they don’t come close to RDAs when it comes to flavor. Luckily, the GeekVape Peerless doesn’t disappoint in this respect. It really brings out the best (or the worst) in an e-liquid, and even though juice consumption is a bit high compared to similar size tanks, it’s definitely worth it for the flavor alone. 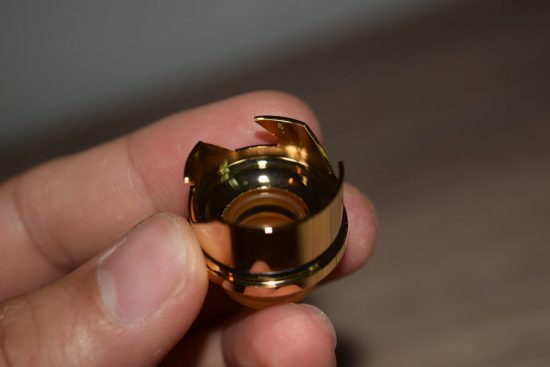 I really haven’t had any major issues with the Peerless Special edition, in terms of performance, but if I had to name a con, it would have to be the short drip tips. They definitely fit the stubby look of the RDA, but they can be a problem when the top cap gets hot, especially when chain vaping. Your lips almost always touch the metal cap, or at least get close enough to feel the high heat, and it’s not a pleasant experience. Since GeekVape doesn’t include a 510 adapter, there’s no way to use your favorite 510 drip tip either. All things considered, the GeekVape Peerless RDA is a fantastic device, especially when you consider it’s low price – under $30. Is it perfect? Of course not, I wish it had a longer drip tip, or at least a 510 drip tip adapter, and that small coils were easier to install, but as a whole it’s a great deal for the money. The quality of the materials is top notch, as is the machining, and, most importantly, it vapes great. Both vapor production and the intensity of the flavor are on point, and the juice well holds a lot of e-juice. Do I recommend it? You bet! You can pick up the GeekVape Peerless RDA Special Edition at Heaven Gifts, for only $28. 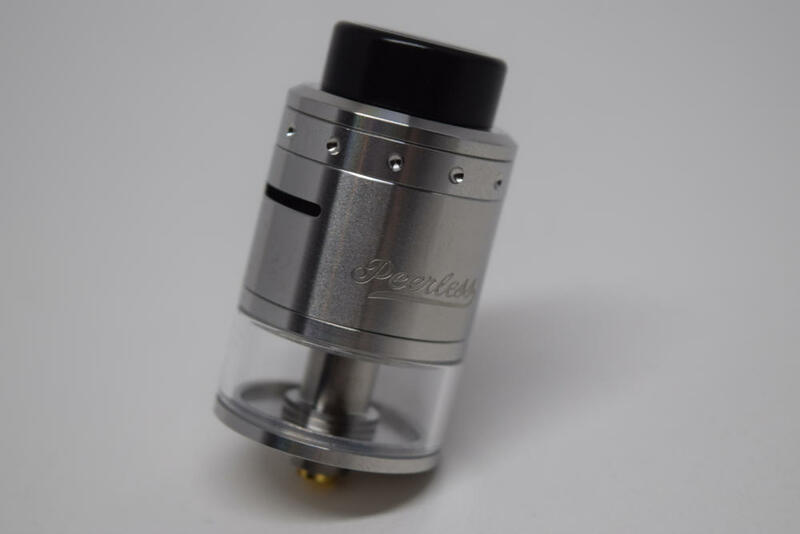 Looking for a special price on the GeekVape Peerless RDA? Check out this great offer.